Scary or cute, maybe both. 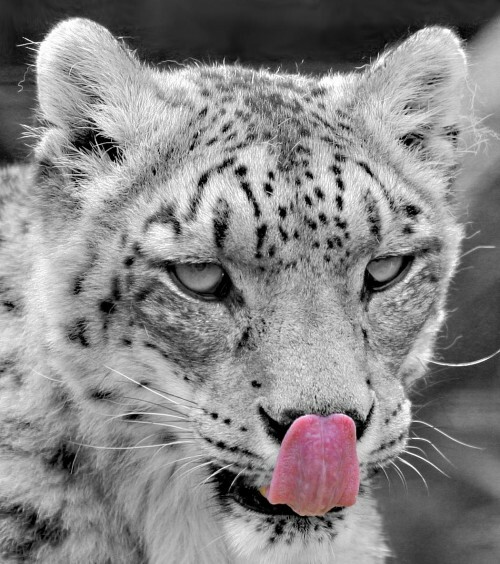 I think your mistaking this white tiger for the elusive pink-tongued black/white-photo tiger. It’s an easily made mistake. Tigers, along with bears and wolves, are the cutest animals evar! Actually, you are all wrong in believing that this is a tiger. It’s a Snow Leopard.